One of the things I love the most in photography is some kind of symmetry. I do love the great outdoors, as much as I protest it. And by love, I definitely mean… I love looking at it from a safe distance… just to be very clear. 😉 Our world is beautiful and that isn’t lost on me but I will say a really beautiful building usually tops my list. 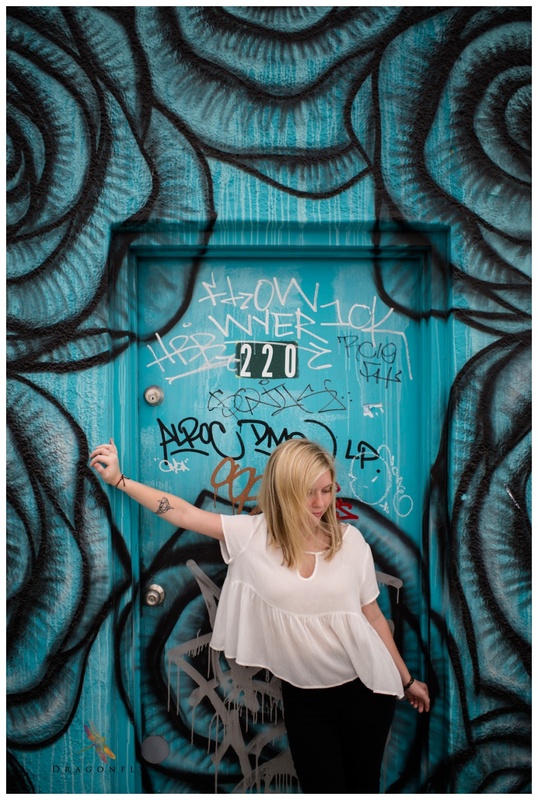 Senior photography is especially fun because there are so few rules associated with it. 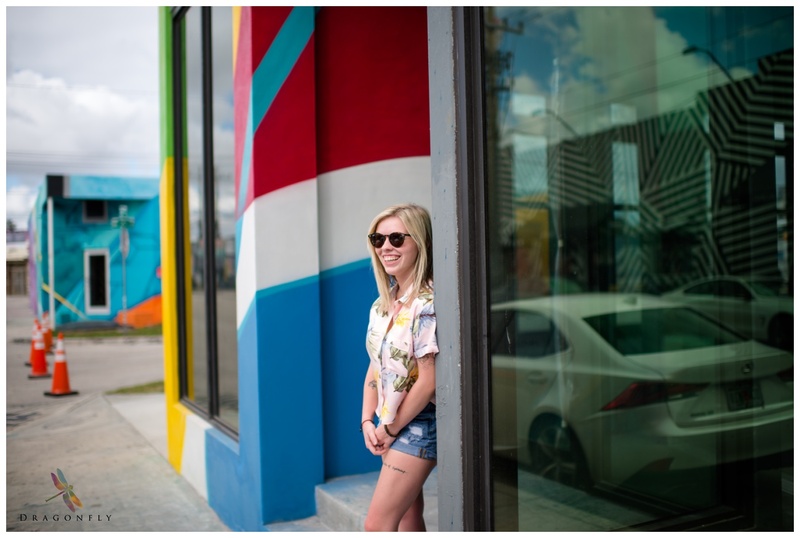 When Mackenzie and I set out to celebrate her college graduation and do her senior photos at the Wynwood Walls district, we didn’t have an extremely detailed plan other than; great coffee, adventures, and colorful places. 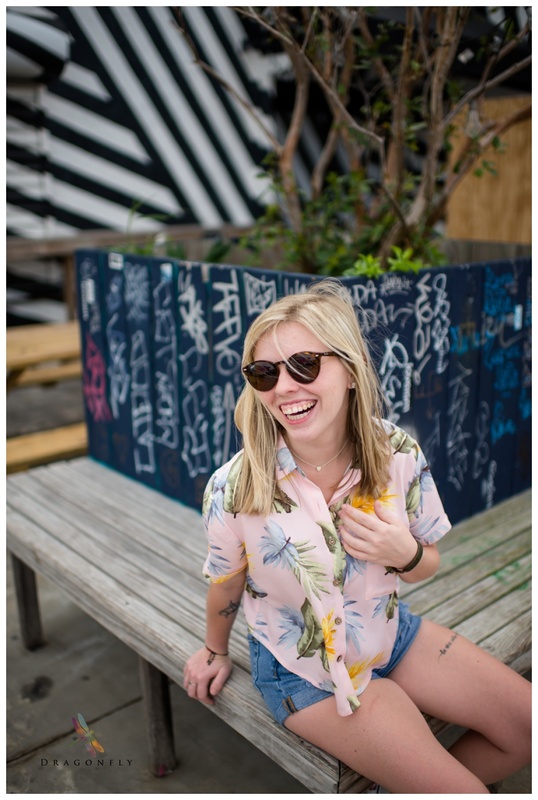 Mackenzie is especially fun because she laughs a lot, she has honed sarcasm stills and she’s always up for some kind of adventure. I will say she might not have been perfectly thrilled with me when I told her she needed to stay perfectly still as random strangers walked by back and forth as I stood on the other side of the street to create an image of her right in the middle of the blurred and busy world walking by her with her silhouette. She’s not a huge fan of being the center of attention so “hold the pose as people walk back and forth trying to figure out if you’re a human mannequin or just some kind of interpretive dancer” may have been a little bit of a stretch for her…. But she did it! AND the image was super fun (it’s the one right below all the writing). 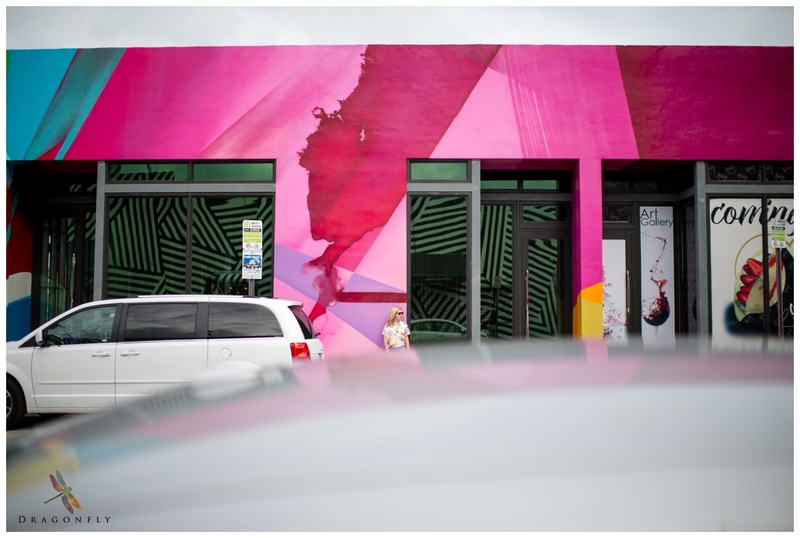 For those of you that are not aware of the amazing thing that is the Wynwood Walls District in Miami, Florida… The Wynwood arts district is this incredible area of buildings and businesses that celebrate diversity in art. 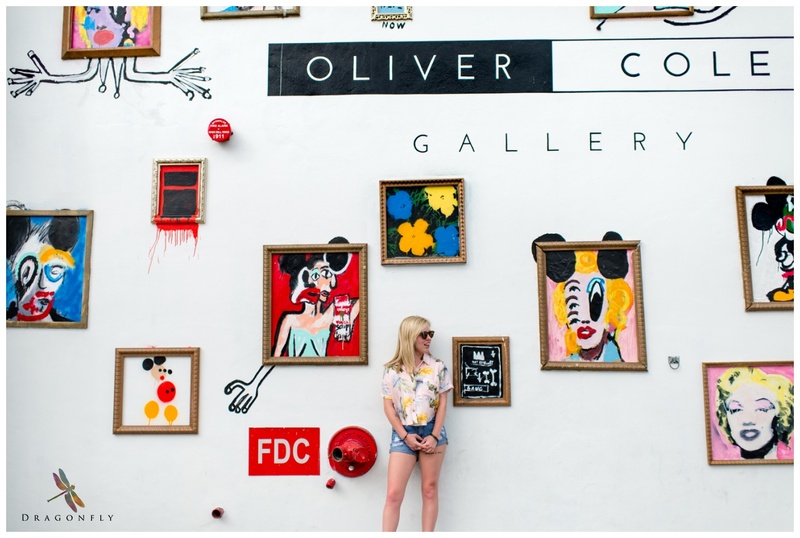 Basically, a day at Wynwood looks like; park your car somewhere that has excellent coffee, probably from a really cool Cuban coffee shop, and then wander around looking at all the different works of art painted on all the buildings. Every building is completely different. And 99% of them are brightly colored. Each building is its own tapestry of color and design. Some of them have ocean scenes, some of them have geometric patterns, some have political messages, and some are just pure color and joy. It’s really a lot of fun to be held. 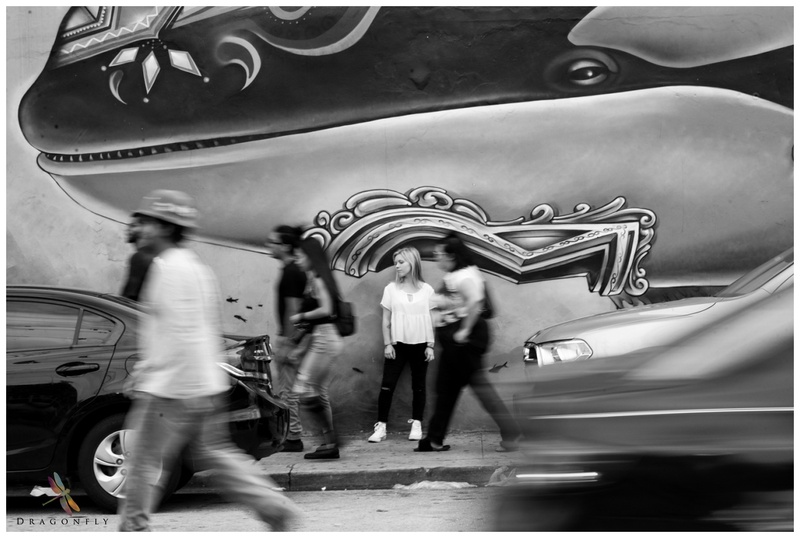 Most cities have some type of graffiti art district within their borders but Miami is definitely doing this one right…it’s a beautiful area.